For me, an off-season visit to the beach is a delight. 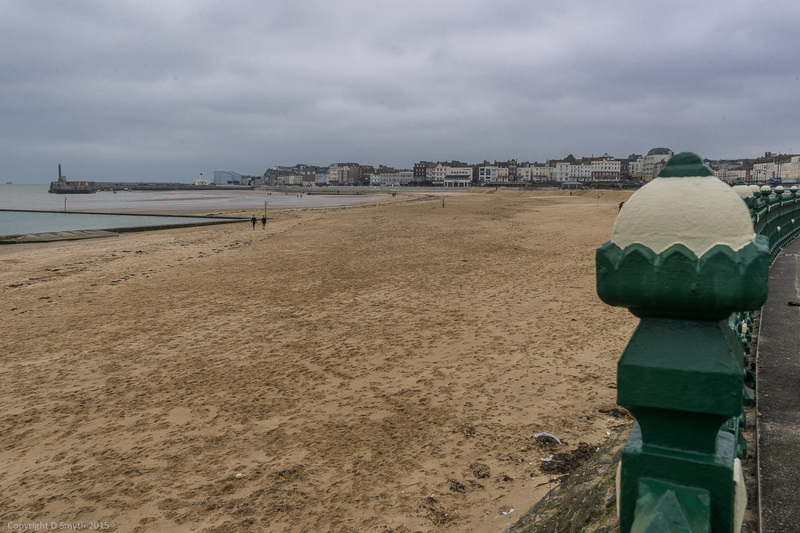 But on this somewhat bleak January day in Margate, I didn’t find many like-minded souls. It was a very windy day down on the south coast, but only one kite flyer was tempted to try out his skills. Great minds, Debs! 🙂 Yours look bleak! I must get back before the crowds arrive. I have a walk to do That I couldn’t face in that wind! A bit different from its namesake!